Call us at 303-948-9800 today. 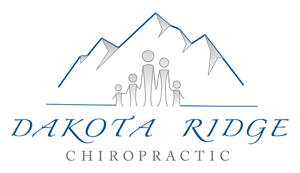 Located in beautiful Ken Caryl area of Littleton, Colorado, the leading health professionals at Dakota Ridge Chiropractic are dedicated to helping you and your family live a better, pain-free lifestyle. Combining skill and gentle, natural therapies that span the entire wellness spectrum (Chiropractic, Nutrition, Massage, Foot Orthotics, Kinesiotaping, Detoxification, and more...). Dr. Jim Wood DCand our caring staff are committed to helping you "Live Better" by bringing you better health and by practicing and teaching the true principles of wellness care. Patients seeking treatment at Dakota Ridge Chiropractic can reach us at 303-948-9800, and are assured of receiving only the finest quality care. Through the use of modern chiropractic equipment and technology our goal is to provide exceptional care in a friendly, relaxed atmosphere. We strive to not only correct a person's health problems, but to educate them on how to manage and prevent similar problems in the future. Our goal is to help you achieve your wellness goals! 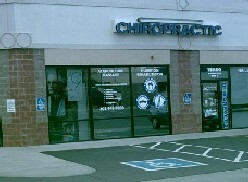 We are conveniently located on the northeast corner of Ken Caryl Ave. and Simms Ave., adjacent Walgreen's and Wendy's. Whether you have been injured or simply want to improve your health, we will customize your care to achieve your goals. We are experienced and certified to provide care for Auto, Work and Sports-related injuries, while we also reserve a passion for families striving for better health. Our professional services include; Chiropractic, Massage, Nutritional Counseling, Cold Laser, Custom Foot Orthotics, Kinesiotaping, Disc Decompression, Posture Correction and Injury Rehabilitation. If you are new to our website and you are interested in starting your journey towards wellness please subscribe to our award winning newsletter(top right), and feel free to look around. If you are already a newsletter subscriber, please explore the member wellness section of our website for wellness articles, resources, and health facts---specifically targeted by Dr. Jim to your unique needs and interests. Our Doctors and staff greatly look forward to meeting you, helping you get out of pain and back to doing all the things you love to do. It's Your Life to Live... so why not Live Better! Receive 20% OFF first visit. Sign-up using the form or call us at 303-948-9800 to take advantage of this exclusive offer. "Surgery has been canceled and it looks like my lifestyle will improve quickly as I can become more active thanks to Dr Wood and the Dakota Ridge Chiropractic staff." "Love love love Dr. Wood & staff. The care is fantastic, the people are wonderfully warm and welcoming, and they're always willing to fit you in no matter how crazy your personal schedule might be. Dr. Wood might possibly be one of the nicest guys I've ever met. I've been seeing him for years, despite having moved many miles away since first connecting with him. Simply wonderful!"